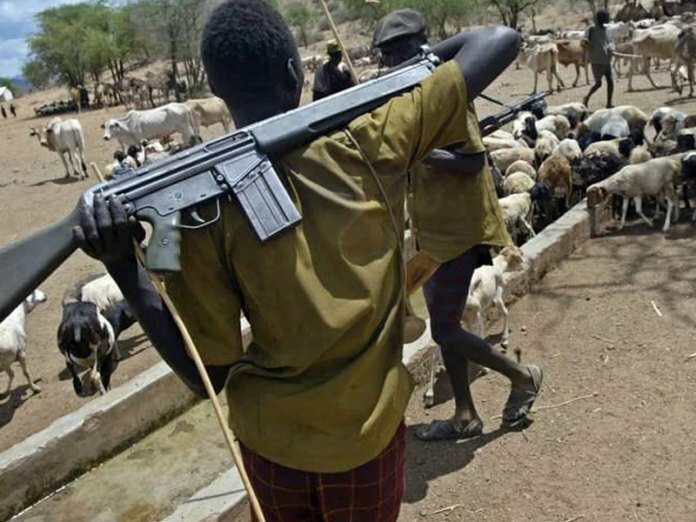 No fewer than 16 persons have been allegedly killed with several others injured by suspected Fulani herdsmen in Agatu Local Government Area of Benue State. A native of Agatu, John Ikwulono, who spoke with our correspondent, disclosed that the attackers invaded Ebete, under Usha ward in Agatu Local Government Area of the state in the early hours of Wednesday, February 20, and started shooting sporadically. Ikwulono who noted that the unprovoked attack on Agatu people started at exactly 1 am when the people were deep asleep said after the dust settled, 16 dead bodies of locals were discovered. He explained that a family member of some the deceased victims, Daddy Seni, whose father was also killed alongside his siblings, told him that he left his father at Ebete while heading for Aloko for fishing when he received a call from his father asking him to turn back. “Daddy Seni told me that his father informed him that he had been shot by Fulani herdsmen and on reaching where his father was lying in a pool of his blood he was about to give up. “He said as he made desperate efforts to take him to the hospital, he said: ‘My son, don’t bother about me and your siblings again, ours is finished; we can’t survive this gunshot; run for your dear life and tell others about this’ then he gave up. Ikwulono disclosed that the acting Chairman of Agatu LGA, Alhaji Oyigocho had already been briefed about the matter and that he had rushed to Ebete with some council members alongside security men for an on-the-spot assessment of the attack. He said three Jukun hunters were among those that were murdered by the suspected herdsmen, adding that two of them didn’t die immediately but were rushed to a nearby hospital where they later died. Confirming the report, acting Chairman Agatu LGA, Alhaji Oyigocho, described the attack as condemnable and wondered why this should be happening at a time Nigerians are preparing to elect their new leaders. He said his people had never taken laws into their hands despite provocations from the herdsmen whom he said had taken over farmlands in most parts of Agatu land which he spoke about recently on the radio even as he appealed to the government to quickly come to their aid. Meanwhile, the Force Commander of the security outfit, Operation Whirl Stroke (OPWS), Maj. Gen. Adeyemi Yekini, has confirmed the killing but could not say the actual number of people killed. Yekini in a statement disclosed that although his troops were not in the Agatu main area, he had dispatched a patrol team to the scene to verify what actually led to the killing. “I received a report this afternoon that some people were killed in Agatu by suspected armed bandits. I’m not sure of the number of casualties yet but I don’t think it’s up to 16. “We have sent a patrol team to the general area where the incident happened. The location where it happened, although is in Benue can better be accessed through Loko in Nasarawa State. We are already sending a patrol team there to verify what really happened,” Yekini stated. Where is MR. SHOOT AT SIGHT? The grand patron of Fulani herdsmen . Your subjects are at work in Benue state again. Are you not ordering your army to deal RUTHLESSLY with the herdsmen?